For the LORD your God is God of gods and Lord of lords, the great God, mighty and awesome, who is not partial and takes no bribe, who executes justice for the orphan and the widow, and who loves the strangers, providing them food and clothing. You shall also love the stranger, for you were strangers in the land of Egypt. You shall fear the LORD your God; him alone you shall worship; to him you shall hold fast, and by his name you shall swear. He is your praise; he is your God, who has done for you these great and awesome things that your own eyes have seen. 16 The eyes of all wait upon you, O LORD, and you give them their food in due season. 17 You open wide your hand and satisfy the needs of every living creature. 18 The LORD is righteous in all his ways and loving in all his works. 19 The LORD is near to those who call upon him, to all who call upon him faithfully. 20 He fulfills the desire of those who fear him; he hears their cry and helps them. 21 The LORD preserves all those who love him, but he destroys all the wicked. 22 My mouth shall speak the praise of the LORD; let all flesh bless his holy Name for ever and ever. By faith Abraham obeyed when he was called to set out for a place that he was to receive as an inheritance; and he set out, not knowing where he was going. By faith he stayed for a time in the land he had been promised, as in a foreign land, living in tents, as did Isaac and Jacob, who were heirs with him of the same promise. For he looked forward to the city that has foundations, whose architect and builder is God. By faith he received power of procreation, even though he was too old-- and Sarah herself was barren-- because he considered him faithful who had promised. 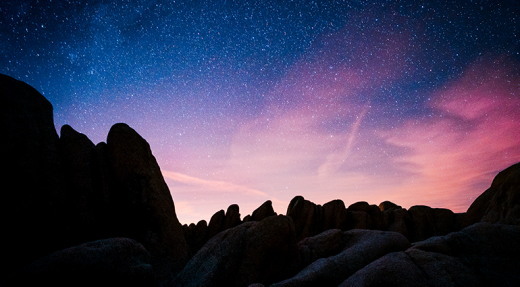 Therefore from one person, and this one as good as dead, descendants were born, "as many as the stars of heaven and as the innumerable grains of sand by the seashore." All of these died in faith without having received the promises, but from a distance they saw and greeted them. They confessed that they were strangers and foreigners on the earth, for people who speak in this way make it clear that they are seeking a homeland. If they had been thinking of the land that they had left behind, they would have had opportunity to return. But as it is, they desire a better country, that is, a heavenly one. Therefore God is not ashamed to be called their God; indeed, he has prepared a city for them. Most Americans have celebrated Independence Day in their lifetime. Burgers and hotdogs sizzle on grills and fireworks burst in the sky. We eat, maybe hear The Star Spangled Banner, watch fireworks and go home. July fourth has become commonplace, another day for big sales events and flying an American flag. However, an Independence Day celebration approaches to impress the whole world! We don’t know the date and shouldn’t believe anyone who tells us they do. But, no one on earth or in heaven will miss its importance; and it will mark a day of freedom from the greatest oppressor ever – Satan. It is the day of our Lord and Savior, Jesus Christ's return. It is the beginning of real freedom, like no one has ever had before (except Adam and Eve before they sinned). Those who have believed in Christ’s atoning blood for their sins and have trusted and believed in Him, might have what an old preacher of mine used to call "a Hallelujah breakdown!" 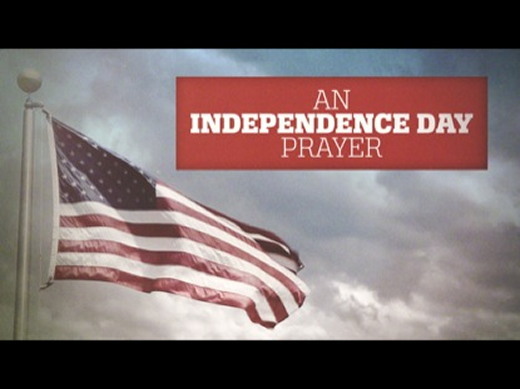 This Independence Day will release Christians from the many sins keeping them entangled. Imagine, no more sickness, no more addictions, no more gossip, no more unkindness, no more anything that does not reflect the positive attributes of the love of our Father God and our Lord Jesus Christ. Currently, we have the Holy Spirit to guide us, to strengthen us, to comfort us, and to give us power through Christ’s death and resurrection. However, we are still tripped up by sin as long as we live in this fallen world. When Jesus comes, all our ungodliness along with our negative baggage goes away. I can’t think of a better freedom than that. Actually, the whole scene of Jesus’ return sounds so incredible, I doubt there are words to describe the immense emotional, spiritual, and physical response people will have. The Bible tells us Jesus will return to earth just like He left, through the clouds (Acts 1:11b), with his angels (Matt 16:27), with the trumpet call of God and a loud command (1 Thessalonians 4:16). 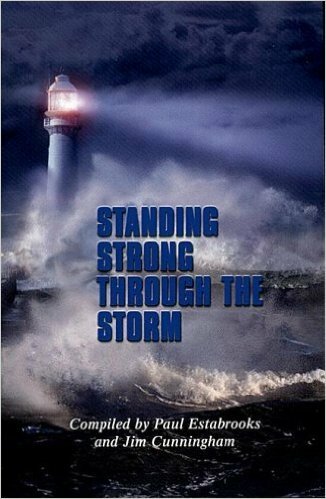 Scripture says believers in Christ will be changed in a twinkling of an eye and Jesus will destroy all dominion, authority and power standing in opposition to Almighty God (1 Corinthians 15:52, 1 Corinthians 15:24). Our earthly minds are limited in their comprehension of this miraculous time. It’s a God thing, and try as we may, we can’t peg down the details on how God will accomplish the return of Jesus Christ and the destruction of evil. Picture the sky filled with God’s mighty angels, the sound of God’s trumpet, which has to be the most beautiful and loudest sounding instrument, and our Lord Jesus shining radiantly as He leads His mighty angelic troop in the sky. Envision watching victory as Christ and his angels capture Satan and his demons, and justice is completed. It will be more graphic and stirring than any riveting movie Hollywood could ever think of producing. Many theologians have studied the return of Christ and have disagreed about the order of when things happen or exactly how they happen. These varied opinions on the return of Christ and the disappearance of believers from the earth have created divisions among believers who desperately want to cling to one decided order of the end times. My response to such division is that it won’t matter how we interpret end times scriptures when God’s day of Independence comes. Everything will be revealed in God’s perfect timing. 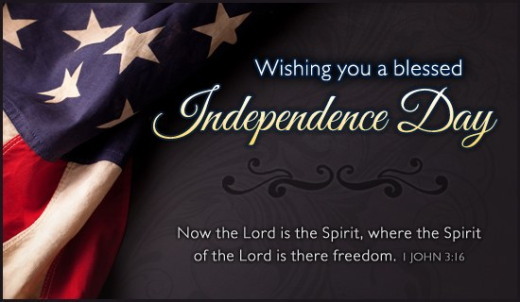 The Independence Day of our God will come when we least expect it and we are instructed to be ready as if it were the next moment. So, in case it happens to be today, Happy Independence Day! Devotion Copyright © 2009 Beth Patch. Used by permission.Scripture taken from the Holy Bible, New Living Translation®, NLT® copyright © 1996, 2004, 2015 by Tyndale House Foundation. Used by permission of Tyndale House Publishers Inc., Carol Stream, Illinois 60188. All rights reserved. My self-plan didn’t like the God-plan that was laid out before me. God was asking me to give up something that meant a lot to me so that another woman could be blessed. It seemed crazy. Unnecessary. But, in this instance, through the strength of Christ, I chose to obey even though I didn’t want too. It hurt. It cost me big. I felt the loss. There are just some times I’d rather give gifts that don’t cost me too much. But that’s probably something that only I wrestle with, right? (Kidding.) It’s hard to be open handed with things that we hold dear, isn’t it? Some of us struggle with an unwillingness to give away material things or money. Others of us hold tight to our schedules, affections, positions, jobs or our availability. Still more of us hold tightly to our children, grandchildren, spouses, friends, parents or other people in our lives that we want to keep a tight reign on. When we open the hands of our lives to God’s presence, to His service and for His glory, rest assured God will see a beautiful thing. When we obey God’s promptings and listen to His voice that whispers to our soul, He fills us with peace, satisfaction and His beauty. Dear God, You are worth far more praise than I could ever give. Please help me to rest in Your presence and trust in Your plan. Fill me with Your perspective until I joyfully lay down my will for Yours. Lord, when You look at my life, I want You to see beautiful. I co-wrote a song that was inspired by this Scripture passage and I’d love to share it with you as we conclude our devotion time. CLICK HERE and allow the words of this song, Something Beautiful, to be the prayer on your heart as you listen. Every beautiful act of worship begins with the heart. If you would like to learn more about how your brokenness can be transformed into a picture of God’s beauty, order Gwen’s book Broken Into Beautiful. 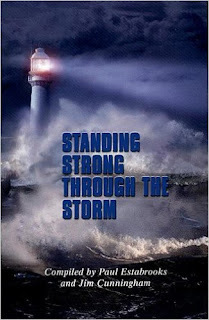 This resource will help you experience the power of hope, healing and restoration! Something Beautiful is featured on Gwen’s Uncluttered CD. You can download the song from iTunes or Amazon – or order her CDs on www.GwenSmith.net. QUOTE: When we obey God’s promptings and listen to His voice that whispers to our soul, He fills us with peace, satisfaction and His beauty. 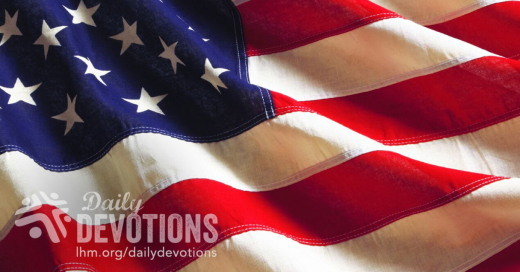 LHM Daily Devotion - July 4, 2017 "For He Is Good"
Only 25 days after the Declaration of Independence had been signed by the last delegate, General George Washington's army found itself trapped on the edge of Brooklyn, New York's, East River. The British had 20,000 seasoned soldiers ready to attack the 8,000 inexperienced, raw Colonials. The end, as everyone could plainly see, was imminent. It would have been imminent, but for some reason -- some illogical, inexplicable reason -- the British forces drew up short. They hesitated. Some have suggested the British commander was waiting for his fleet to sail up the river. The fleet didn't come, at least not when they were expected. A northwest wind blew, rains came, and the British ships couldn't set sail. If the British hesitated, Washington didn't. Under the cover of darkness, using small boats, Washington led his men in retreat. With haste, carrying a few men at a time, the boats crisscrossed the river. The goal was to save as much of the army as was possible. The night passed before the job was completed. The approach of dawn would make the ferrying boats target practice for the skilled artillerymen of the British. That's the way history might have written the end of the Rebel Army, but it didn't happen that way. Just as the sun came up, so did a fog. It wasn't so thick you couldn't see your hand in front of your face, but it was thick enough so visibility was reduced to less than 20 feet. The fog hung on until the last Colonial boat, the one with Washington, was launched. The best the British could do was lob some shells at Washington's boat, which was out of range. Sitting, as you are in your comfortable house, far removed from that time, you may be thinking quite a coincidence or some luck or a great throw of the dice. It would be foolish to think that God sent the rains, that God directed the winds, that God brought up the fog. Every modern, sophisticated thinker knows Washington's escape was pure fate. That's what we would say, but almost every one of the American soldiers who recorded the events of that night gave credit for these "coincidental happenings" to the Triune God. And there were many British troops who wondered if they shouldn't go home since the Lord was obviously fighting for the Colonies. No doubt, many of the American men, having been delivered by this miracle, thought of Psalm 107:1: "Oh give thanks to the LORD, for He is good, for His steadfast love endures forever!" Of course, all this was over two-and-a-quarter centuries ago. Much of America has become too sophisticated to rely on God, to think of Him, or thank Him. And that, my friends, is a big mistake. You see, God's mercy endures forever, but His patience does not. Far better for those in America, or whatever country you call home, to give thanks to the Lord for not only giving us forgiveness and salvation through His Son, but also for His blessings and freedoms, which are far more dependable than are our thanks. THE PRAYER: On this day of picnics and fireworks and family, may Your people also give thanks for Your hand of protection, which has guided us in the past even as it does today. This I ask in the Savior's Name. También dijo Dios: '¡Que se junten en un solo lugar las aguas que están debajo de los cielos, y que se descubra lo seco!' Y así fue. A lo seco, Dios lo llamó 'tierra', y al conjunto de las aguas lo llamó 'mares'. Y vio Dios que era bueno. Con motivo del aniversario del nacimiento de los Estados Unidos, es correcto que nos detengamos y mostremos nuestro aprecio a lo que Dios ha hecho. Así es como se hizo más de 100 años, cuando el gran predicador Moody leyó el Salmo 103. Cuando llegó al verso: "¡Bendice, alma mía, al Señor! ¡Bendiga todo mi ser su santo nombre! ¡Bendice, alma mía, al Señor, y no olvides ninguna de sus bendiciones! ", Moody repentinamente se detuvo, y con una sonrisa dijo: "Seguramente no pueden recordar todos los beneficios de Dios. Pero eso no quiere decir que deban olvidarse de todos. Recuerden algunos de ellos." Si bien hoy no podemos recordar todos los beneficios que hemos recibido a través de esta maravillosa tierra que Dios nos ha confiado, tampoco nos atrevemos a olvidarlos. Por eso es que me gustaría animarle a dar gracias al Señor por la barbacoa que seguramente va a disfrutar el día de hoy. Agradezca al Señor por la libertad que disfrutamos y por la responsabilidad y privilegio que tenemos para usarla correctamente. Sobre todo, agradezca al Señor porque siempre ha estado con nosotros ofreciéndonos la salvación a través del sacrificio de su Hijo. Moody tuvo razón: "No podemos recordar todo los beneficios de Dios. Pero eso no quiere decir que debamos olvidarlos". Por razões difíceis de serem compreendidas, ser liberto é algo bem mais estimulante do que ser livre. Para aqueles que desfrutam da liberdade todos os dias, a alegria de Wiig é um bom lembrete de como é fácil esquecermos como somos abençoados. Acontece o mesmo em relação à vida espiritual. Alguns dentre nós que cremos em Cristo há mais tempo nos esquecemos do que significa ser refém do pecado. Podemos nos tornar complacentes e até ingratos. Mas então, Deus nos envia um lembrete na forma de um cristão recém-convertido, que dá um testemunho exuberante do que Deus fez em sua vida, e mais uma vez sentimos a alegria que também é nossa quando estamos livres “da lei do pecado e da morte” (Romanos 8:2). 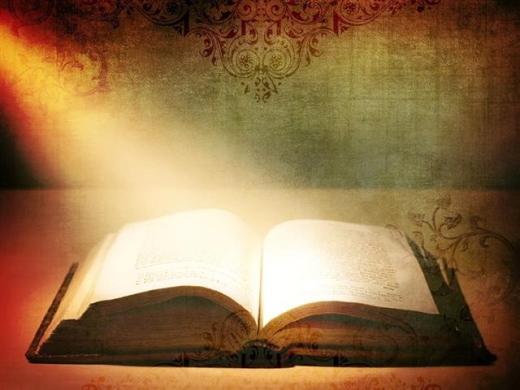 Se a liberdade se tornou enfadonha para você, ou se tende a focar-se no que não pode fazer, considere isto: você já não é mais um escravo do pecado e está livre para ser santo e desfrutar da vida eterna com Jesus Cristo (6:22). 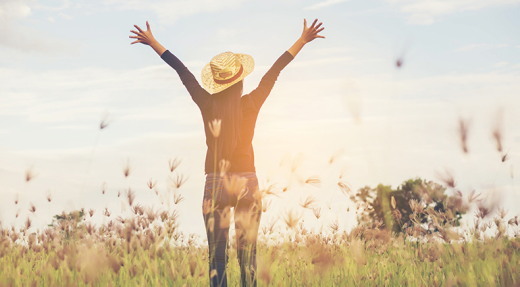 Comemore a sua liberdade em Cristo, e separe um momento para agradecê-lo pelas coisas que você pode e tem liberdade de fazer como servo do Senhor Jesus. Viver para Cristo traz verdadeira liberdade. Vì những lý do khó hiểu, được trả tự do là việc đáng vui mừng hơn cả việc đang sống tự do. Đối với những ai đang được hưởng sự tự do mỗi ngày, niềm vui của Olaf là một lời nhắc nhở rằng chúng ta dễ dàng quên mình được phước ra sao. Điều này cũng đúng về mặt thuộc linh. Những Cơ Đốc nhân lâu năm thường quên mất cảm giác của việc bị tội lỗi giam hãm là thế nào. Chúng ta có thể trở nên tự mãn và thậm chí vô ơn. Nhưng rồi Chúa đem đến một lời nhắc nhở qua lời làm chứng vui mừng của một tân tín hữu về những gì Chúa đã làm trong đời sống người đó. Nhờ đó, một lần nữa, chúng ta cảm nhận được niềm vui mà mình đã từng kinh nghiệm khi được giải phóng “khỏi luật của tội lỗi và sự chết” (Rô. 8:2). Hãy bày tỏ sự vui mừng vì được tự do trong Đấng Christ bằng cách dành thì giờ cảm tạ Chúa về những điều bạn có thể làm và được tự do để làm cho Ngài. Bạn muốn cảm tạ Chúa về điều gì? Sống cho Đấng Christ mang đến sự tự do thật. … la ley del Espíritu de vida en Cristo Jesús me ha librado de la ley del pecado y de la muerte (Romanos 8:2). Después de ser secuestrado, tenido como rehén durante trece días y liberado, el camarógrafo neozelandés Olaf Wiig anunció sonriente: «Ahora, me siento más vivo que nunca». Por razones difíciles de entender, ser liberado es más emocionante que estar libre. Para aquellos que disfrutan de la libertad todos los días, el gozo de Olaf fue un buen recordatorio de lo fácil que olvidamos la bendición de este beneficio. Esto también es verdad en el ámbito espiritual. Quienes hemos sido creyentes durante mucho tiempo, solemos olvidarnos qué significa estar cautivo del pecado. Podemos dormirnos en los laureles y hasta ser desagradecidos. Entonces, Dios nos envía un recordatorio en la forma de un nuevo creyente, el cual da un testimonio exuberante de lo que Dios ha hecho en su vida, y una vez más, sentimos el gozo de ser libres «de la ley del pecado y de la muerte» (Romanos 8:2). 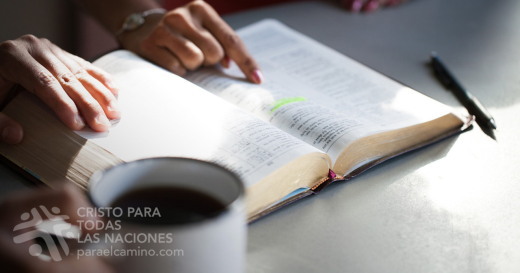 Si la libertad se te ha vuelto aburrida, o si sueles concentrarte en lo que no puedes hacer, considera lo siguiente: no solo ya no eres esclavo del pecado, ¡eres libre para ser santo y disfrutar de la vida eterna con Jesús! (6:22). Celebra tu libertad en Cristo dedicando tiempo para agradecer a Dios por todo lo que puedes hacer como su siervo. Vivir para Cristo trae verdadera libertad. Unser Täglich Brot - Endlich frei! Befreit zu werden macht anscheinend glücklicher, als frei zu sein. Für alle, die jeden Tag in Freiheit leben, war Olafs Freude sicher eine gute Erinnerung daran, wie leicht wir vergessen, wie gut es uns geht. Das gilt auch im geistlichen Sinne. Wer schon lange Christ ist, vergisst oft, wie es ist, ein Sklave der Sünde zu sein. Wir werden selbstzufrieden und sogar undankbar. Aber dann schickt Gott eine Ermahnung in Gestalt eines Neubekehrten, der begeistert davon erzählt, was Gott in seinem oder ihrem Leben getan hat, und auf einmal erkennen wir wieder etwas von der Freude, die wir haben, wenn wir „von dem Gesetz der Sünde und des Todes“ frei sind (Röm. 8,2). Wenn dir die Freiheit langweilig geworden ist oder du nur noch das siehst, was du nicht machen kannst, dann halte dir vor Augen: Du bist nicht nur kein Knecht der Sünde mehr, sondern du bist dazu befreit, heilig zu sein und ewig mit Jesus Christus zu leben! (6,22). Freu dich an der Freiheit in Christus und nimm dir Zeit, Gott für die Dinge zu danken, die du als sein Knecht tun kannst und darfst. Für Jesus zu leben macht wirklich frei. Pour des raisons difficiles à comprendre, il est plus exaltant de se faire libérer que d’être libre. Pour ceux qui jouissent chaque jour de leur liberté, la joie d’Olaf est un bon rappel de la facilité avec laquelle nous oublions combien nous sommes bénis. Cela vaut également pour la liberté spirituelle. Les chrétiens de longue date oublient souvent ce que c’est que d’être captif du péché, devenant parfois complaisants et même ingrats. Puis Dieu leur envoie un rappel sous la forme d’un nouveau croyant qui témoigne avec exubérance de ce que Dieu a accompli dans sa vie, et ils revoient alors la joie qu’ils ont connue lorsqu’ils ont été « [affranchis] de la loi du péché et de la mort » (RO 8.2). Célébrez votre liberté en Christ en prenant le temps de remercier Dieu pour les choses que vous êtes capable et libre de faire en tant que son serviteur. Vivre pour Christ procure la véritable liberté. Після того, як новозеландський телерепортер Олаф Уїг був викрадений, побував 13 діб в якості заручника і потім був визволений, він з великою посмішкою на обличчі сказав: “Радію життю, як ніколи раніше”. Важко зрозуміти чому, але відчуття звільнення викликає більше радості, ніж просто жити на волі. Для тих із нас, хто щодня може насолоджуватись свободою, радість Олафа нагадує про те, як легко ми забуваємо численні наші благословення. Це стосується і духовної сфери. Ті з нас, хто вже давно є християнами, часто забувають, що таке бути у полоні гріха. Ми часто буваємо самозадоволеними, навіть невдячними. Але коли Бог нагадує нам, що ми звільнені “від закону гріха й смерти” (Рим. 8:2) – наприклад через захоплююче свідоцтво новонаверненого про те, що Бог вчинив у його житті, – ми знову пізнаємо цю благословенну радість. Якщо свобода стала для вас чимось звичним і ви постійно зосереджуєтеся на тому, чого у вас немає, поміркуйте над словами апостола Павла, що записані в Посланні до римлян: “Тепер, звільнившися від гріха й ставши рабами Богові, маєте плід ваш на освячення, а кінець − життя вічне” (Рим. 6:22). Святкуйте свою свободу в Христі, знаходячи час подякувати Богу за все, що ви можете робити як Його слуга. Життя для Бога приносить справжню свободу. После похищения, тринадцати дней плена и последовавшего освобождения новозеландский репортер Олаф Уиг с широкой улыбкой объявил: «Сейчас я радуюсь жизни, как никогда прежде». По каким-то причинам быть освобожденным намного радостнее, чем просто быть свободным. Для людей, никогда не лишавшихся свободы, радость Олафа может стать хорошим напоминанием, как легко мы забываем о благах, которыми пользуемся. Это же касается и духовных благословений. Христиане склонны забывать, что значит быть порабощенными грехом. Мы можем стать самодовольными и даже неблагодарными. Тогда Бог посылает напоминание в лице какого-нибудь новообращенного с ярким свидетельством о том, что Бог совершил в его жизни. И мы снова переживаем радость, которую имели сами, когда «закон духа жизни во Христе Иисусе освободил [нас] от закона греха и смерти» (Рим. 8:2). Если свобода стала для вас чем-то привычным, если вы слишком много думаете о том, чего у вас нет, вспомните: вы теперь не только освобождены от греха, но еще и получили свободу жить свято и радоваться вечной жизни в Иисусе Христе! (Рим. 6:22). Жизнь для Христа – настоящая свобода.